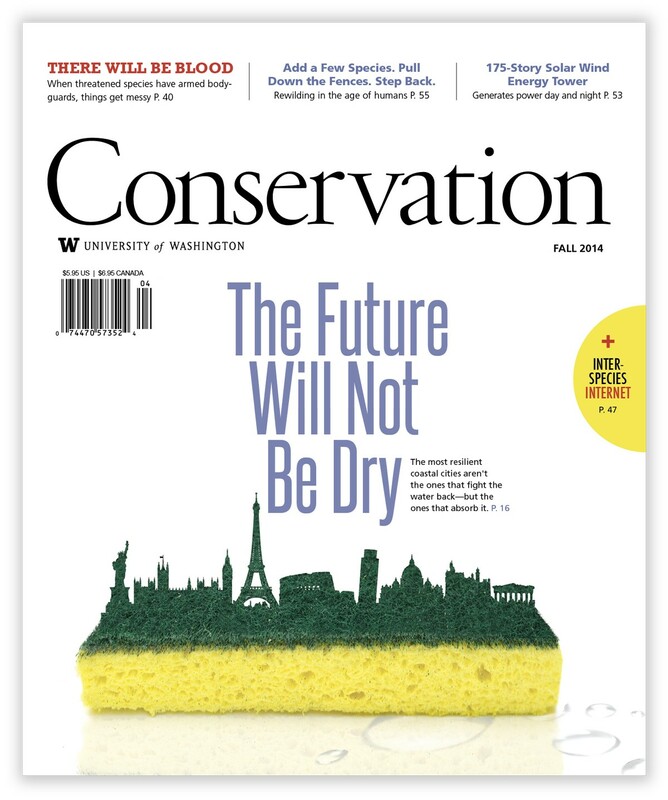 The UW-based Conservation magazine has won a gold award in a national competition sponsored by the Council for Advancement and Support of Education, or CASE. 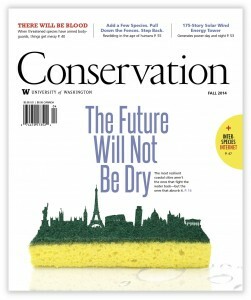 Conservation shares this top honor with a magazine from Stanford Medicine. The award recognizes magazines produced by universities or colleges for special external constituencies, including publications affiliated with individual colleges or devoted exclusively to an institution’s scholarly research. CASE judges noted Conservation’s dedication to stories of the “highest caliber,” as well as an “outstanding” layout and story quality on par with The New Yorker or The Atlantic. To UW faculty involved with Conservation’s achievements in environmental journalism, these accolades celebrate the publication’s rich history. Boersma, who had overseen the magazine since its founding, turned over the reins in April 2015 to incoming executive editor and UW biology professor Josh Tewksbury. 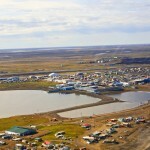 “The magazine’s focus is spot-on for the Anthropocene: journalism that is focused on human-centered solutions to complex environmental issues,” Tewksbury said. The award comes at a time of transition for the publication, which has been based in the UW Department of Biology since its founding in 1999 and was formerly affiliated with the Society for Conservation Biology. Though they continue to publish a selection of conservation news online with funds from the Wilburforce Foundation, Conservation retired its print edition in 2014 to organize a new initiative funded by the John D. and Catherine T. MacArthur Foundation. This new print and interactive online format will launch as the Environmental Media Lab in fall 2015 with news and feature articles on green science and technologies as well as environmental and conservation initiatives. “The goal is to connect engineers, architects, conservationists, ecologists and business leaders across campus and around the world — and to position the University of Washington in the vanguard of environmental innovation,” said editor Kathryn Kohm and senior editor Lindsey Doermann in a statement. “The evolution of Conservation Magazine into the Environmental Media Lab is a huge opportunity for us to expand the reach of this award-winning product and find new ways to engage an ever wider audience in many of the most important issues of our time,” said Tewksbury.